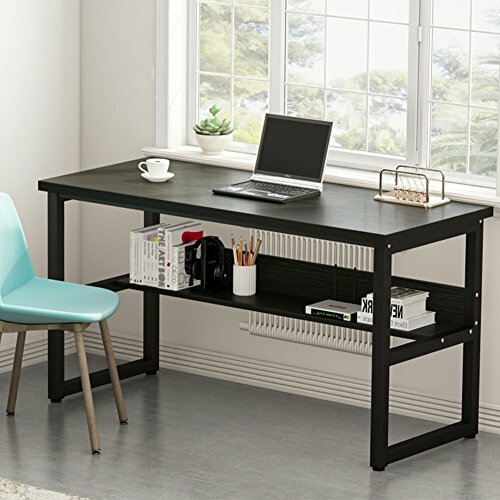 [DESK & BOOKCASE TWO-IN-ONE]: This Ultra modern and contemporary computer desk with bookshelf will fit perfectly in your home office. 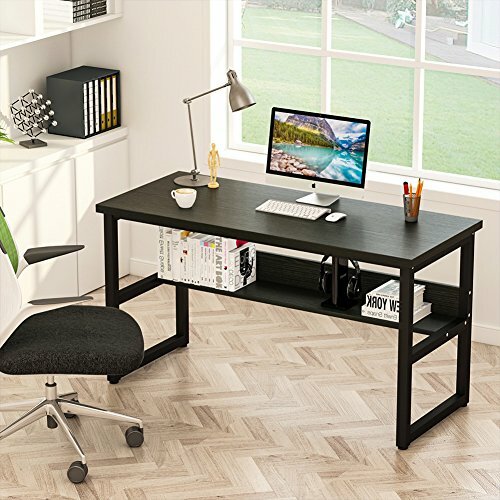 For added convenience, this desk features an open shelf as bookshelf to hold your textbooks and other essentials, which leaves plenty of surface space for your laptop etc. 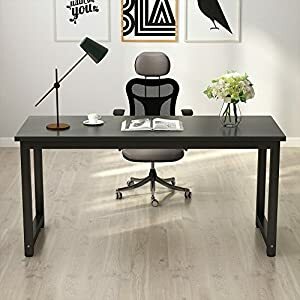 [SUPER STURDY AND DURABLE]: The desk legs made from heavy-duty metal which offers super stability and durability, its 1.96″ by 1.96″ width and 0.98″ thicker desktop is strong enough support heavy duty load. 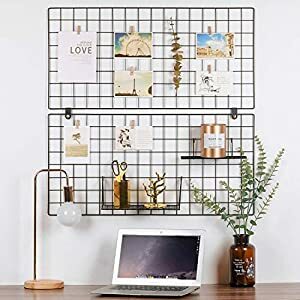 The Panel material is environmental E1 standard particle wood which is wear-resistant, heat-resistant and easy to clean. 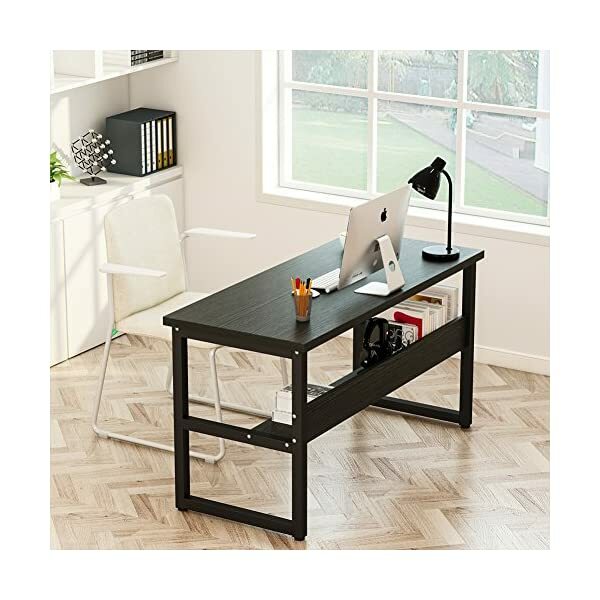 [DESK & BOOKCASE TWO-IN-ONE]: This Ultra modern and up to date computer desk with bookshelf will fit perfectly in your house office. 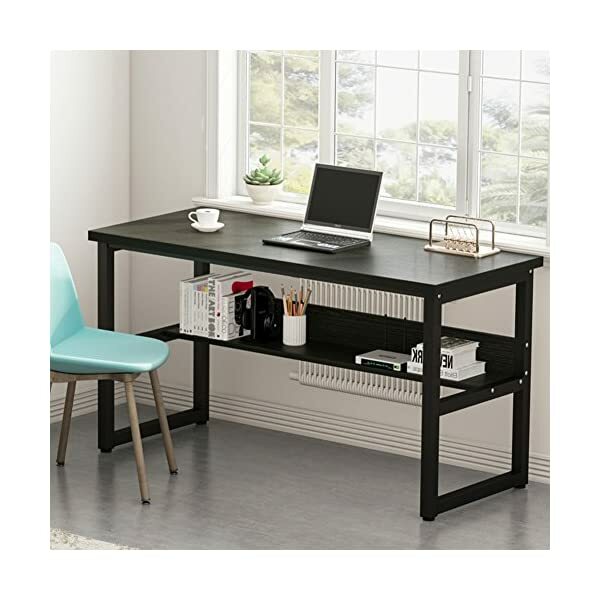 For added convenience, this desk features an open shelf as bookshelf to hold your textbooks and other essentials, which leaves various surface space for your laptop and the like. 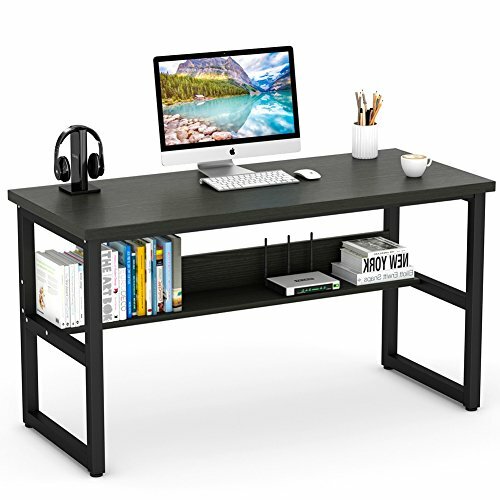 [SUPER STURDY AND DURABLE]: The desk legs made from heavy-duty metal which offers super stability and durability, its 1.96″ by 1.96″ width and 0.98″ thicker desktop is strong enough reinforce heavy duty load. 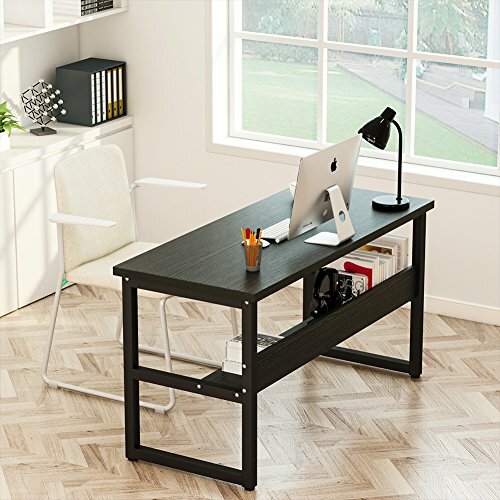 The Panel material is environmental E1 standard particle wood which is wear-resistant, heat-resistant and easy to clean. 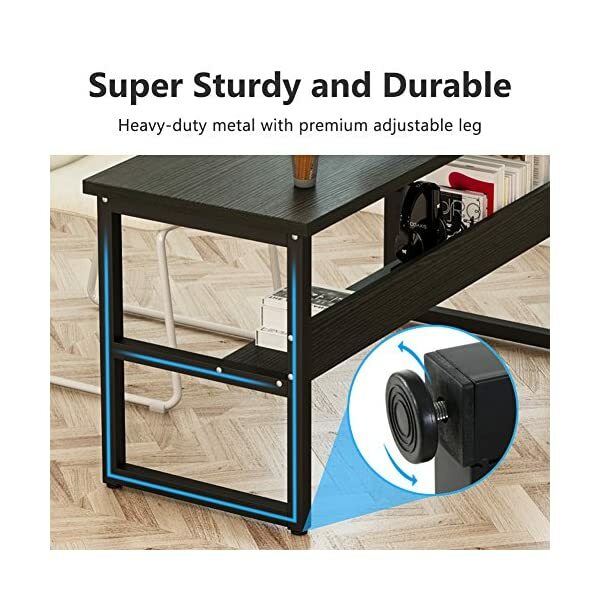 [ADJUSTABLE LEG PADS DESIGN]: The heavy duty metal legs featurs ABS resinic foot pad can adjust 1-2cm lengths, made the table keep stable even on uneven floor, at the same time prevent it from destroying the floor. 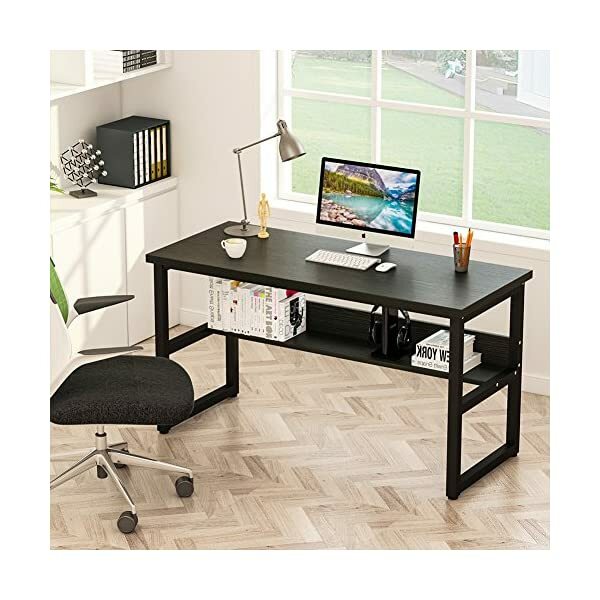 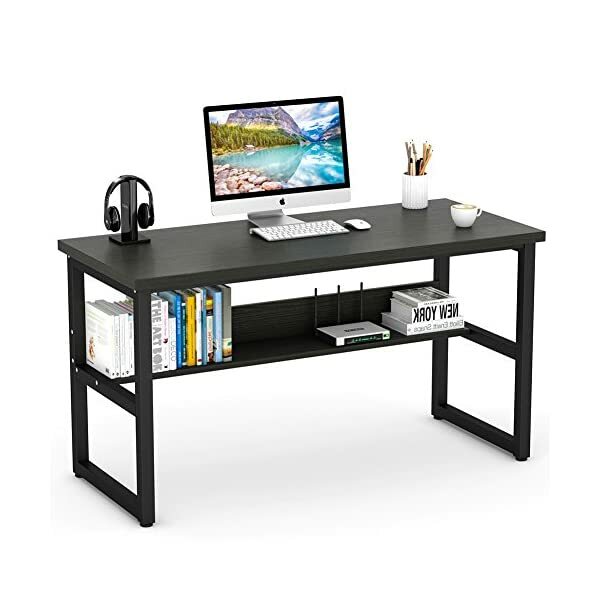 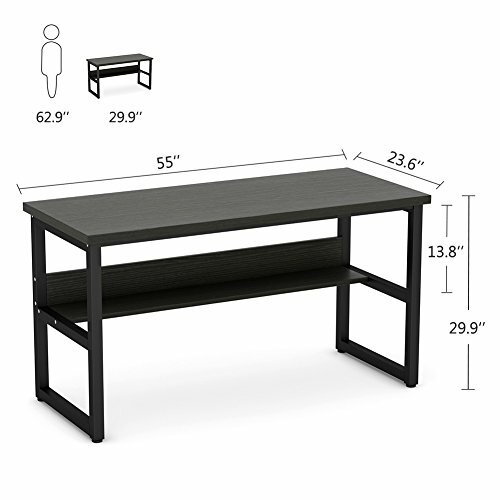 [COMPACT BUT HUGE ENOUGH SIZE]: Computer desk size: L55″ * W23.7″ * H29.5″, makes it perfect fit for your laptop or desktop PC and your entire office accessories. 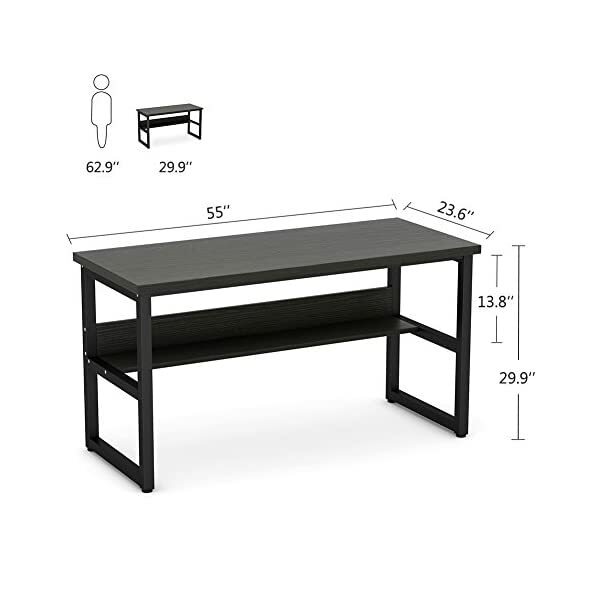 It weights about 49 lbs but has high capacity nearly 500 lbs load capacity. 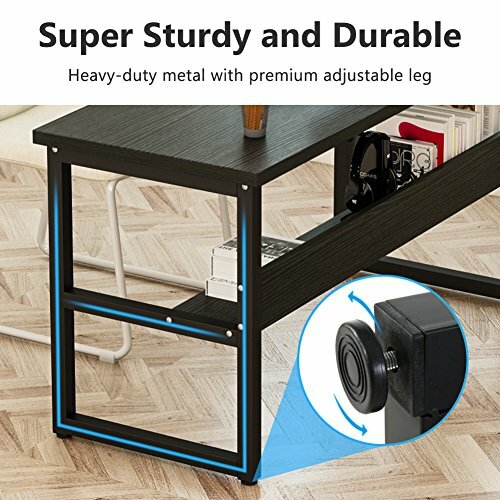 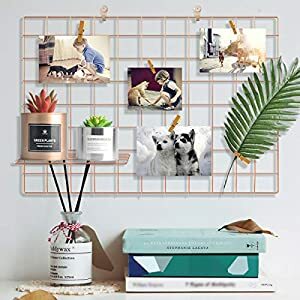 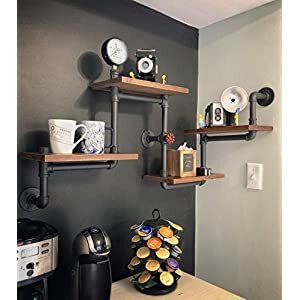 [EASY TO ASSEMBLE]: It is going to took 20 minutes to put together for most of the people with assembly instruction help, 1. just want to install the 4 legs with hex key ; 2. adjustable leg pads design, legs can adjust 1-2cm lengths；3. 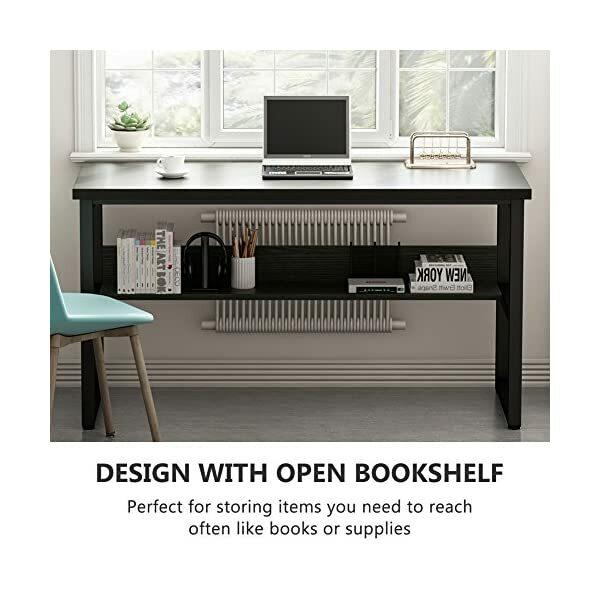 open bookshelf. 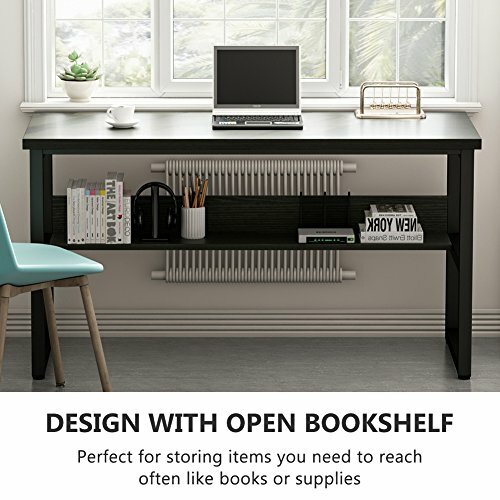 Do not be disturbed about the Installation , it’s easy for you!